You must be seeing all the various articles and postings from Birders here in Michigan, who are all excited about the Spring Birding and Migrations. I have enough Birding knowledge to make me dangerous. :-0 But I will try to explain just what all the excitement is all about. Migration is never over. There are birds moving all around the world all the time. However spring and fall migration is when a lot of birds shift to different territories. First….in the Spring, when most Birds are looking for mates and then settling into nesting, they are very active and do alot of singing. This singing is pretty much held to this Springtime mating, and is both territorial and for mating purposes. In the Fall, with the conditions being similar, we get another short period of time, when the Birds will be singing much more then normal. After the Spring mating time, alot of the singing commotions cease or are cut down tremendously. There is a debate on whether most of this Springtime sons are beautiful tunes to attract mates…..or……commands to get away from my territory and eligible females. I would like to believe these many songs are mate orientated. But I read alot that they are more towards aggressive songs demanding an area for themselves, and the food and females in that area. The second big reason for excitement for the Springtime Birding activities, is the migrational return of many different species. 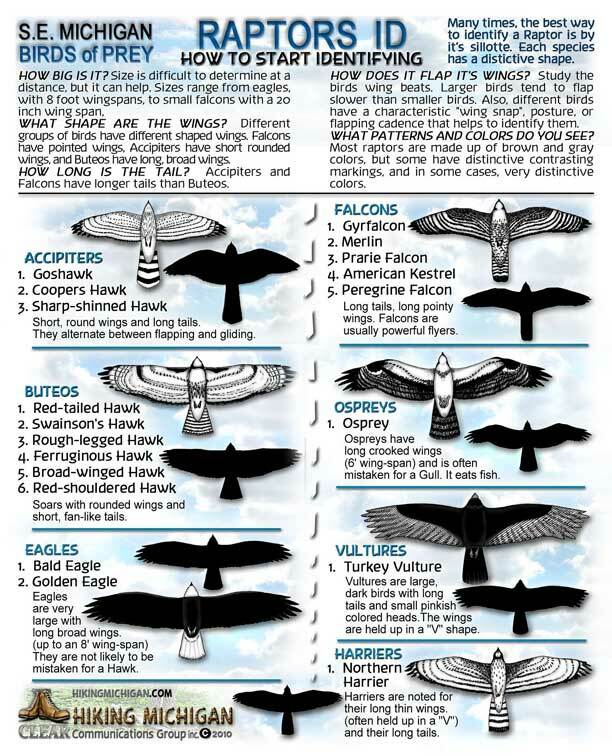 Some species of Birds all migrate to another region of the state or country during the winter months here in Michigan. Some leave a few members of their species behind, while the majority will migrate. Like Herons, Geese, some Ducks and many others, who just seem to know how many of their species can remain and have the habitat sustain these few, while the remainder migrate to warmer climates. I always wondered how this is decided. Is there a group meeting in the Fall, where a small committee selects who will stay here and who will migrate? Does this change each year. Like Larry went last year, so he gets to stay this year? 🙂 Not sure how this works, and I have not yet gotten an answer from anyone that solves this mystery for me. 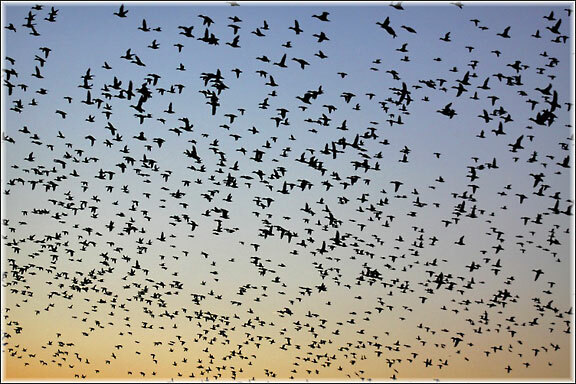 The Spring migrations can be a wonderful sight and experience. Large groups of different species of Birds, flying in from warmer climates, and then dispersing into smaller groups as they get further north. You may hear many people talking about Lake Erie during this migrations time. That is because many birds use the great Lakes as navigational beacons for their travels. 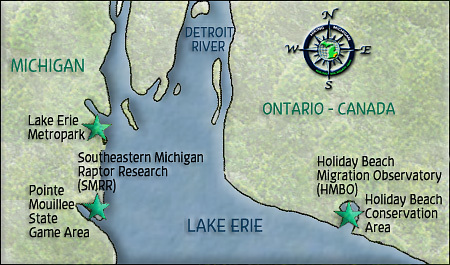 There are quite a few different species that follow the shoreline of Lake Erie, north up the Detroit river or Huron river, and then start to disperse into their different regions in smaller groups. Catching the main groups as they come up from Lake Eries can be some amazing stuff. Seeing hundreds of birds of the same species, who normally do not gather in such numbers except during migrations, can be a beautiful sight. And a chance to see activity that normally one would not see while just wandering the Forest or Meadows later in the summer, looking for pairs or a single bird. So…..this is just some of the reasons for all the excitement during these Springtime migrations, mating and nesting periods in the Birding world. I know I got some of this right. 🙂 But I hope that the more experienced Birders will clock in here and add to this posting and correct or add further info to this special Birding time of year. Pull out those Binoculars, get the camera cleaned up and polish up on those calls, and get some of the best Birding going at anytime of the year, here in Spring in Michigan. 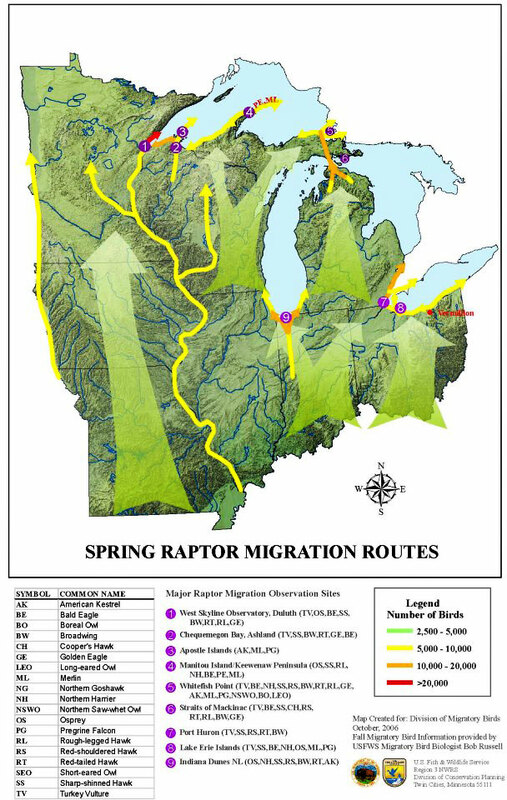 An excellent place for just a ton of info about where to observe Migrations and Birds in general is: BIRDING SITES IN SOUTHEASTERN MICHIGAN & VICINITY You will also find many Links to Birding groups on this web site. Michigan Audubon and it’s many subsidiaries, and all those smaller Birding groups spread out through out our state of Michigan. If all these Links do not get you out to the right spot to see some outstanding Birds, then you just are not trying. 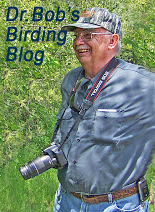 🙂 So we started this Blog posting with my dangerous behaviour ind limited Birding knowledge (I just love photographing and viewing, but know so little about the specifics) But we ended it with two of the people I most respect in Birding in Southeastern Michigan, Janet Hug and Dr.Bob, both sharing their favorite Links and Birding Info with all of us. Thank You Guys!!!! See you all out on the Trails, at the Parks and around the Observation Points.